American actress Angela Bassett has an important PSA for Pearl Thusi. Pearl Thusi got a special message from Golden Globe winner Angela Bassett. The 'How Stella Got Her Groove Back' star called on Pearl to take part in the#WomenDancingTogether challenge. The female empowerment challenge is in honour of Women's History Month, which is celebrated in America during March. "Ladies! Let’s have some fun for the rest of #WomensHistoryMonth and show the world when women unite anything is possible," 'Black Panther' costume designer Ruth Carter said on Instagram. Ruth nominated Angela, Halle Berry, Gabrielle Union, and Lupita Nyong'o. Angela took up the challenge alongside fellow actresses Sheila E and Tasha Smith. When they were done slaying the challenge, they nominated the next batch of inspiring women. Some of the ladies they selected included Pearl Thusi, Tina Fey, Kerry Washington, Yara Shahidi, Vivica Fox, and former First Lady Michelle Obama. "OMG! THIS JUST HAPPENED!!! Which song should I use for the challenge?!... AFRICAN STYLE!!!!" Pearl wrote on Instagram. 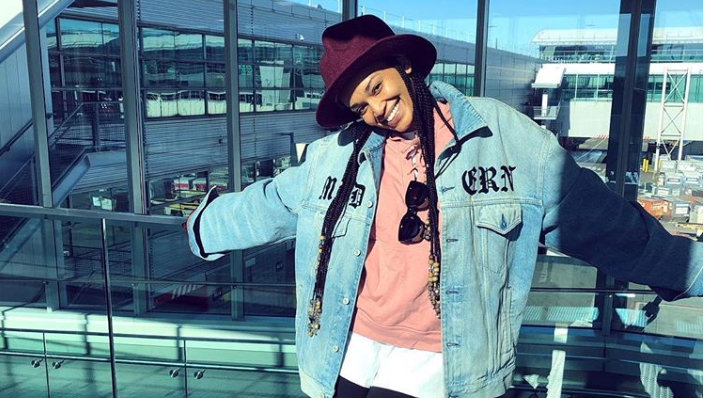 ALSO READ: Is Pearl Thusi dating NBA star Serge Ibaka? Watch Angela, Sheila E, and Tasha's dance challenge below.